Little ones will have lots of fun this winter with a food themed exhibition in the latest NGV kids’ installation Fake Food Park: Martí Guixé for Kids. Updated: checkout our review of the installation here. Catalan designer Martí Guixé, acclaimed as the ‘father of food design’, will present his first major Australian exhibition at the NGV International from the 11th of June 2016. Guixé is renowned for his playful and experimental approach to food and its design and has previously developed concepts including Pharma-Food, which allows people to breathe in molecules of vaporised food; lickable flavoured stamps; and a lollipop with an orange seed inside, designed to be planted after eating to encourage spontaneous reforestation. In a colourful, custom-designed kitchen surrounded by dining booths, Fake Food Park will be a vibrant and interactive, large-scale exhibition developed especially for children and families to inspire a rethinking of the ways we eat and our attitudes to familiar foods. Through a hands-on activity and digital design challenges, visitors will be asked to sprout new ideas for food concepts and flavours, and create their very own ‘Fake Food Park’ menu. ‘Fake Food Park will ask budding young designers to think about the future of food and reconsider familiar food items, from inventing snacks which can be eaten underwater to drawing novel combinations of everyday ingredients’ said Tony Ellwood, Director, NGV. At the centre of the exhibition will be a kitchen space where younger visitors can construct a ‘meal’ using a collection of blocks, fabric and other materials, which is then photographed and magically transformed into a composite image of real food items. Touchscreens will be present in the exhibition to generate multiple food types which kids can then draw on a touchscreen and email to friends and family. 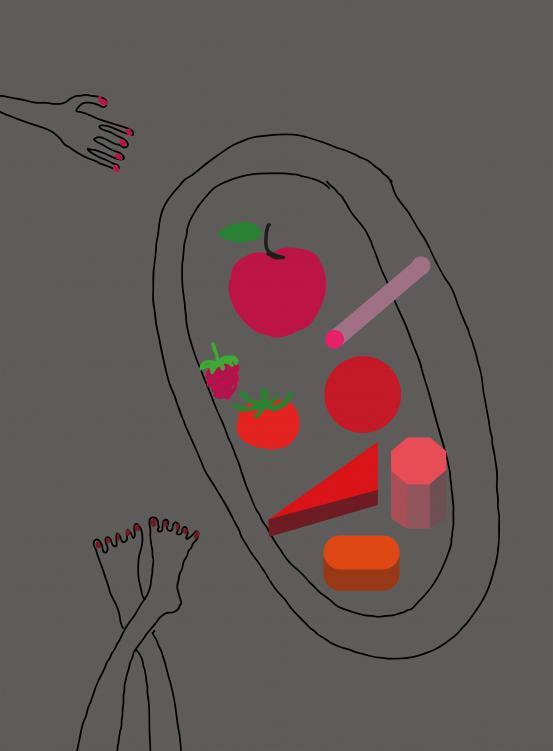 The exhibition space will also feature Guixé’s drawings, illustrations and fruit-and-vegetable wallpaper. Guixé’s work has been shown at MoMA, Centre Georges Pompidou, Design Museum London and the National Art Center Tokyo. He is also well-known for designing the interiors of Camper footwear stores. Fake Food Park is accompanied by a range of public programs including a special Meet the Designer event on Saturday 11th of June, especially for teenagers aged 13-17, which will see Guixé discuss his pioneering work in food and product design. Bookings required, visit ngv.vic.gov.au. Fake Food Park: Martí Guixé for Kids will be on display at NGV International from 11 June – 11 September 2016. Open daily, 10am–5pm. Free entry.